BabyBlueOnline: Archbishop Bob Duncan announces reorganization of his cabinet as focus of ministry shifts to "where we are headed, rather than where we have been ..."
Archbishop Bob Duncan announces reorganization of his cabinet as focus of ministry shifts to "where we are headed, rather than where we have been ..."
According to the data submitted in the Annual Parochial Reports there were, in the year 2010, 987 baptisms of adults over thirty, 424 baptisms of young people aged sixteen to thirty, and 1647 baptisms of children in the ACNA dioceses, not including the congregations of our Ministry Partners. What is so stunning about this data is that the number of baptisms of those 16 and older is almost equal to the number of children baptized. As this Provincial Council meets, I am announcing a re-organization of my team of advisors (my “cabinet”) to reflect where we are headed, rather than where we have been. This change is like the change represented in the diocesan stories just told. The Lead Bishops of the Common Cause Partnership – representing all the jurisdictions and organizations out of which the Anglican Church in North America was gathered – were the original Executive Committee of the Anglican Church in North America. Last June the transition was made to an Executive Committee of six clergy and six laity, chaired by the Archbishop. Yet because we are – in the best Anglican fashion – to be “episcopally led and synodically governed” [Lambeth Conference, 1930] the need for wisdom from Lead Bishops representing our jurisdictional and organizational roots caused me to retain a body that had literally led us together into unity. They ceased to be the Province’s Executive Committee, but became the Archbishop’s Cabinet. Now comes the next step. We are becoming one church. I think everyone here now recognizes that our most important identity is as members of the Anglican Church in North America. We treasure our originating bonds, whether as part of the Reformed Episcopal Church of as part of the Province of Kenya or Uganda or Forward in Faith or whatever, but we are now chiefly all Anglican Church. So with this Third Annual Provincial Council I am re-shaping my chief advisors group to reflect the program and mission of the Church, to reflect where we are going, where we are being called. The Cabinet will have two arms, one provincial and one global. The provincial arm will include the leaders of five key domestic initiatives (Catechesis, Anglican 1000, Engagement with Islam, Ecumenical Relations, and Liturgy and Common Worship), as well as some others. The global arm will include many seasoned bishops long-known to you, but also the Executive Director of the Anglican Relief and Development Fund. This re-organization also means that not all the members of my Cabinet will be bishops. In two years the Lord has brought us very far and blessed us very much. In order to keep the synod in its rightful place (governing) alongside the bishops (leading) I will also ask that every meeting of the Executive Committee have from one to three reports from members of the Cabinet on the initiatives Cabinet members are themselves leading or undertaking on behalf of us all. A year ago at Provincial Council on the East Coast (Amesbury) we agreed to the request of the Anglican Mission in the Americas to move from diocesan status to ministry partner status. This change enabled the Anglican Mission to be first a “missionary outreach of the Province of Rwanda” and then a ministry partner with us. Two of their bishops, Doc Loomis and Terrell Glenn, have been named the regular representatives in Provincial Council and College of Bishops, and one of the Mission’s key priestly leaders, Ellis Brust, is also part of their Ministry Partner deputation at this meeting. We rejoice at our partnership in the gospel. We rejoice that the Anglican Mission was the first to champion church planting as the way forward for Anglicans in the North American context. We rejoice that the AM is here with all our other Ministry Partners. A sign of the partnership shared with both the Anglican Mission and the Federation of Anglican Churches in the Americas (a second Ministry Partner with congregations) is cooperation among our congregations, clergy and bishops at the local level, and the identification of all Anglican congregations, whether ACNA, AM or FACA in the Anglican Church’s church finder web tool, the most visited single feature of the Anglican Church website. Our global commitments remain strong and we continue to be seen as “gospel partners” and bearers of “authentic Anglicanism” (South-South Encounter IV) by most of the world’s Anglicans. The GAFCON Provinces accord our Province status as the North American Province and I am seated as a Primate in the Primates Council. I was privileged to be present at Archbishop Ian Ernest’s invitation at the All Africa Bishops Conference (of the Council of Anglican Provinces of Africa) last August in Entebbe and was accorded a seat there for public and state events as one of the archbishops of the provinces. 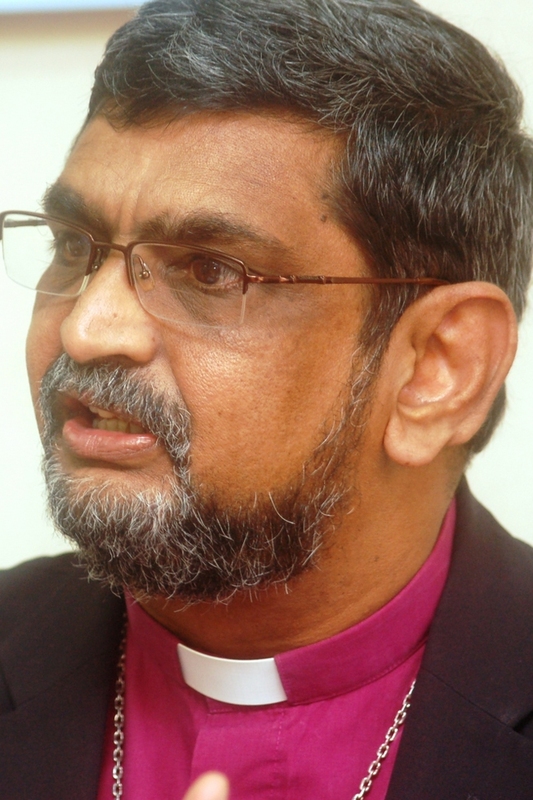 It is the greatest of joys to welcome Archbishop Ian Ernest – Archbishop of the Province of the Indian Ocean and Chairman of CAPA – to this Provincial Council as speaker, observer and friend, and to our College of Bishops as Bible teacher and consultor. It is also a privilege to welcome Fr. 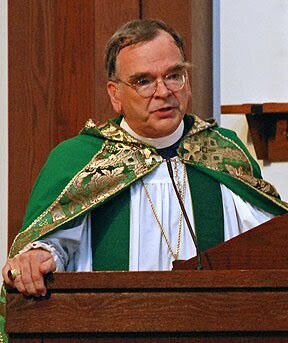 Thomas Seville, CR, of the Faith and Order Commission of the Church of England here as participant and observer, in partial response to the action of the General Synod of the Church of England in February 2010 regarding consideration of an appropriate form of recognition or relationship with the Anglican Church in North America. The Anglican Relief and Development Fund, the official relief and development arm of the Anglican Church in North America, is a significant aspect of our global commitment, and of the growing respect for us as true partners with Anglicans throughout the world. The Primates of Southern Cone, West Africa, Jerusalem and the Middle East, Sudan, Congo, and South East Asia (as well as of ACNA) all serve on ARDF’s Global Trustees. What is more is that national expressions of ARDF are beginning to emerge in developed countries beyond the U.S. and Canada. ARDF-Australia is the first to be fully formed, embracing the concept of objective philanthropy with measurable results piloted by ARDF-US, so that ever-more first-world Anglicans can invest in the sustainable transformation of the Global South in the Name of Jesus Christ. Two years ago we were 706 congregations. The annual parochial and diocesan reports for 2010 – the first year for which we have a system of statistical reporting in place (another provincial milestone) – identify 952 congregations as part of the dioceses of the Anglican Church in North America and its ministry partners. Statistically this represents a 34 percent growth in congregations at the end of the first 18 months of Church life. We understand that congregations are where disciples are formed and that it is through congregations that surrounding environments are changed. We have a clarity about all of this – about the absolute centrality of congregations – that allows us to focus as a Province. Bishops, archbishops, dioceses, structures, programs all exist in order to make the local congregation strong. Read the entire address here. This is impossible! Ms Schori said that there were "just a few that don't want to be with us..". Let's not be too hard on +Schori. She and her predecessors have contributed greatly to the growth of the ACNA. I'm excited about the prospect of a 2011 BCP. If it lives up to expectations, I hope that it will make its way back into Episcopal worship. You noticed that one too, eh, Wyclif?